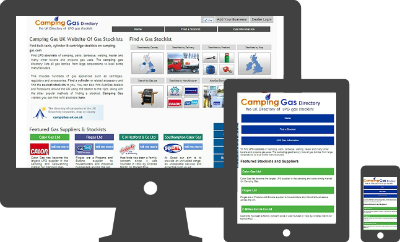 Visitors use our websites to gas stockists for any type of gas bottle, cylinder, cartridge, bulk tank or even AutoGas. They can find exactly what they need by using our various searches, for example ‘Search by gas use’. All the major suppliers of LPG are represented on this website together with information about gas regulators, accessories and appliances. Please complete the details below. Items marked with an * are mandatory.